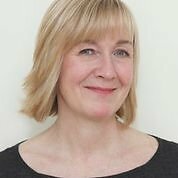 My name is Juliet Sims and I am a fully qualified, experienced Clinical Hypnotherapist, Master NLP Practitioner, Master Time Line Therapy® Practitioner and Life Coach. My practice is based in Lymington, on the edge of The New Forest, close to Southampton, Hampshire. I am committed to helping people overcome their personal challenges and achieve positive change in their lives, whether this be on a personal or professional level. I am experienced in working in many areas and I use advanced techniques to help people achieve the change they are looking for. Is there something in your life you would like to change or improve? If so, you are not alone. Many people reach times in their lives when they want to make changes. Sometimes these changes can be of a personal nature such as overcoming a fear or phobia, being free from anxiety, breaking a habit or losing weight. Other times people are seeking to set and reach a particular goal or make a career move. Whatever the nature of the issue, I combine Hypnotherapy, NLP, Time Line Therapy® and Coaching skills to either assist people on a journey of profound change or to simply help them overcome a current challenge. I believe that change can happen easily when we truly understand the nature of a problem and apply the most beneficial methods for resolution. Change can often occur within just one session however, there are also times when a series of sessions are needed in order to achieve lasting change. Everyone is different and I therefore work on a session to session basis. If you are seeking rapid change I also offer an intensive 3 - 4 hour 'Breakthrough' session. If you would like to make some changes in your life and are looking for an experienced Hypnotherapist, NLP Practitioner and Life Coach in the Lymington or Southampton areas, call me on 07768 183543 or drop me an email. I offer a free initial 30 minute consultation either over the telephone or face to face after which I can recommend either a single session or Breakthrough session approach. I operate a strict code of confidentiality in my practice and provide a safe place where you can be listened to non-judgementally. My focus is very much on taking people forward in their lives rather than dwelling on the past. Hypnotherapist, NLP Coach and Life Coach in Lymington, covering Southampton, Bournemouth, Christchurch & The New Forest.